Sharing and gathering information and knowledge, presenting, planning and brainstorming are just a few of the aspects that feature on a daily basis in the world of business. Because Legamaster products are flexible, they can meet the specific needs of any situation. In some companies, internal and external meetings – whether they take the form of a product presentation, brainstorming session, workshop or conference – are part of everyday life. 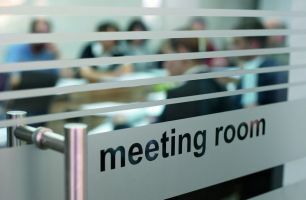 Legamaster can provide the right aids for any type of meeting: from Magic-Charts to e-Boards, from Multiboards to e-Screens. Want to find out more about our solutions for businesses?